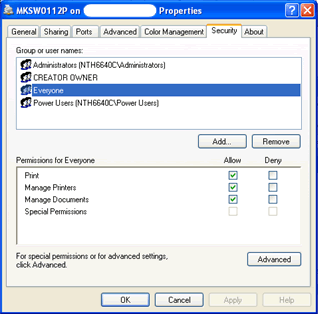 Install novaPDF on a computer (the printer server), and make sure that the printer is set to be shared and that it allows access to it (in the Security tab, the Everyone group should have Permissions to Print, Manager Printers and Manage Documents). It's important to set the correct Permissions, because SAP R/3 needs to have access to the novaPDF (a detailed guide on how to install novaPDF and share it is available here - How to install and use novaPDF as a shared network pdf printer). Just to be on the safe side that it's installed correctly, you can print a test page to novaPDF from a remote computer in the same network. Second step is to install and start the SAPLPD daemon on the same computer (printer server) where novaPDF was installed. Once started, if it works correctly it will display a status window ending with a "SAPLD Version 6.28 for Windows/NT (OPT) is listening" (the version will vary depending on the SAP version). The SAPLPD program has to keep running on the computer on which novaPDF runs on. It will receive the SAP R/3 output file, will convert it into a MS Windows compatible printing file and will send it to the novaPDF printer. 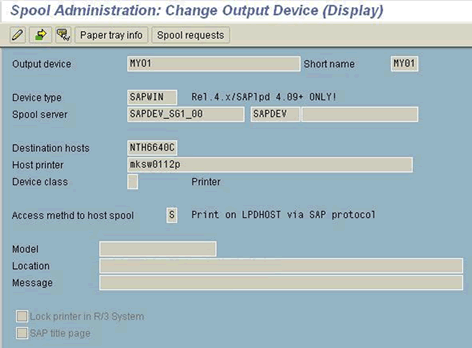 Everything should be configured correctly and you can do a test print via SAP to novaPDF to see if it's working.